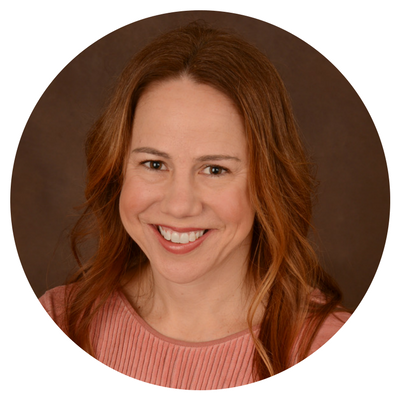 The following is a guest post from Jahnae Long of www.longbyfive.com (also on Facebook and Instagram as LongbyFive). Jahnae is a mom to a full-time traveling RV homeschooling family which launched late 2016. She has 3 kids aged 7-12 and a one-year-old English Bulldog. Wanting to travel with kids in an RV? RV traveling with kids regardless of your mode of transportation can always lead to an interesting day. When RV traveling with kids, you need to be a little more prepared and creative. 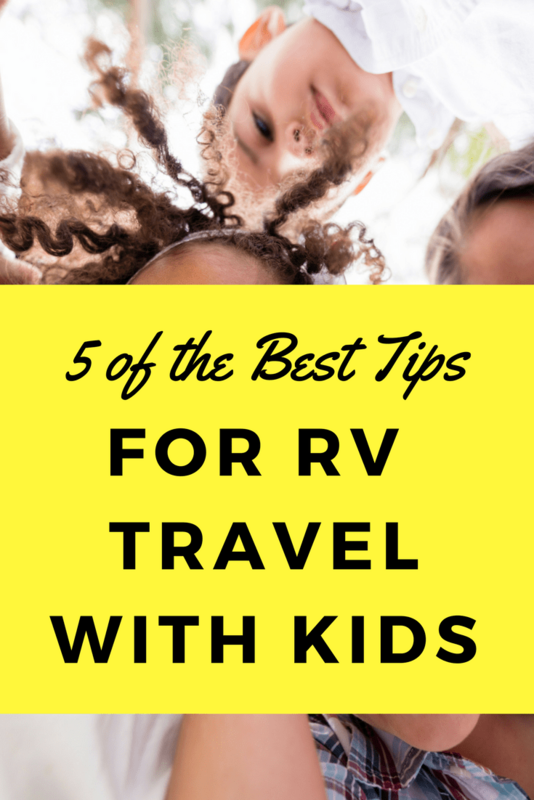 I’ve put together a list of my best tips for RV traveling with kids based on our experience as a full-time RV family! Let me back up and tell you a little about my family. My husband is National Project Manager for a Disaster Restoration Company. He had been traveling all on his own for several years. He would come home from time to time, usually every few days or weeks, until one large job back in 2015 and he was gone for SIX MONTHS STRAIGHT in California. We were in Florida at the time, and it’s not the easiest trip to make with three kids. They were growing up without him and it just broke my heart! We were looking for things to do and happened upon an RV show and the idea was born. We made RV traveling with kids happen the next year! You need to find an RV with enough beds for everyone. Most RVs come with at least one main bed. There are some models that have bunks that can sleep 2-3 and some with bunkhouses that can sleep 3-5, possibly even 6. If you only have one or two children, you may even be able to bypass bunks altogether and have them sleep on the sofa and dinette– both of these items usually convert to beds. 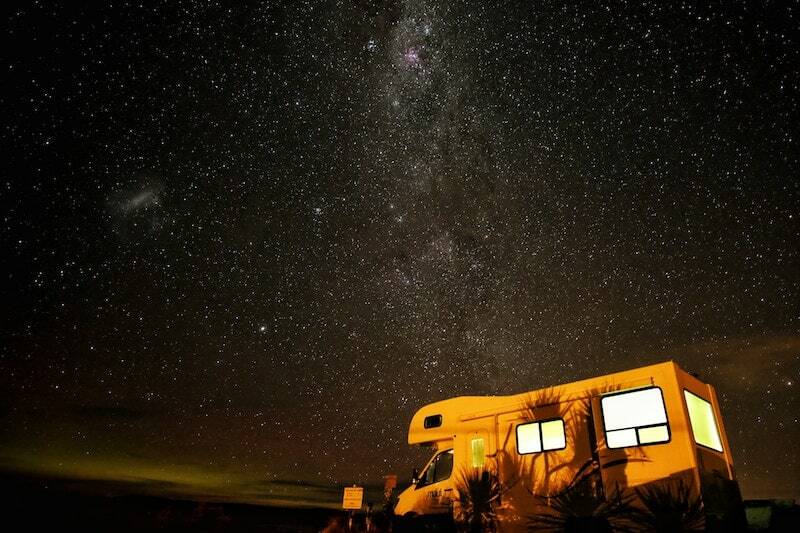 There are MANY different kinds of RVs, but as a traveling family, your main choices will be: towable like a travel trailer, fifth wheel or drivable like a Class C or Class A. Some families choose to avoid the drivable RVs, especially with little ones. There is a large debate amongst the RV community as to whether car seats are truly safe in these drivable RVs. If you plan on traveling with a car, I would HIGHLY suggest you have a second driver for the car and keep the children there during travel. Towables are the most popular choice for traveling families. Travel Trailers are more popular for vacationers and weekenders, while fifth wheels are popular amongst the full-time families. They are more like an apartment with residential size refrigerators, washer/dryers, and two bedrooms. This selection process can seem daunting, but I would start with your family’s basic needs go from there. This is another stressor for newbies! The overwhelming urge to pack as many toys as possible is very common. What you have to keep in mind is that every time you park your RV, there is a brand new world for your children to explore, so open that door and let them roam, touch, feel, smell and simply discover! I’m not saying don’t pack any toys, but don’t get too carried away! I would suggest some board games, legos, and books for evenings and rainy days. That being said, just because it’s raining outside doesn’t mean they can’t go play! Let them explore outside unless, of course, it’s a thunderstorm– that’s a different story! If you have a washer/dryer in your RV, you can pack a very limited amount of clothing. If you plan on only hitting the laundromat once a week, then you’ll need a bit more clothing. Some campgrounds have free laundry, while some can be up to $3 per load just to wash! Do you have a planned route? Are you staying in warmer climates? If so, maybe leave behind the majority of the warm clothing, except a warmer outfit or two and a jacket in case you hit a cold front. Children don’t need 10 pairs of pants if you plan on staying in the Deep South! Depending on when you’re traveling, you may connect right away with friends at your RV park, especially if you’re traveling during the summer, but that’s not always the case. If I’m somewhere longer than a week, I join the local moms’ group on Facebook to get some knowledge of the area. Just search “YOUR LOCATION moms” or you can also try “YOUR LOCATION homeschool“ if you are a homeschooling family. From there I post about who we are and why we’re in that current location. We can then plan to meet up with other families at local spots. I also ask for hidden gems and places the kids would enjoy and hopefully learn a few other things as well. We once happened upon a cavern on a side road in Alabama– that was an amazing experience! RV traveling with kids is not for the faint of heart, but it’s also an amazing experience that you will not regret! Happy traveling!